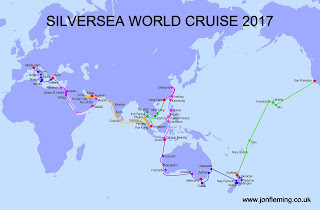 Well, Christmas and New Year has come and gone in a blur, so we’ve packed our bags and are leaving on a jet plane for San Francisco today, before embarking upon another epic World Cruise on the Silver Whisper. 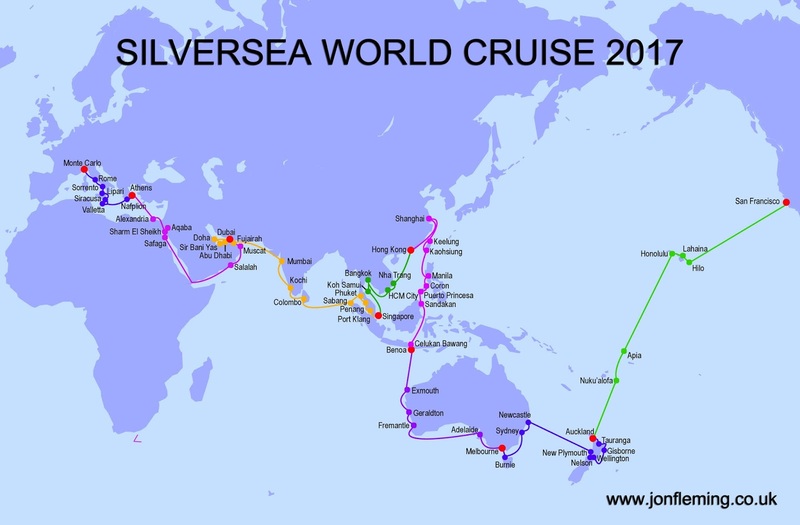 After a gala dinner tomorrow, we then set sail for Hawaii, and will spend the next 116 days visiting 62 ports in 28 different countries - should be fun! I’ll keep you updated as we progress….